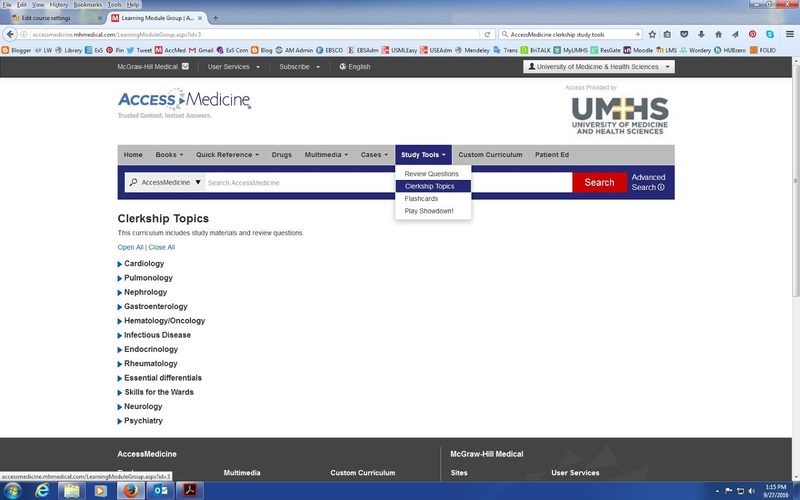 A big WELCOME goes out to all UMHS Clinical Students as they all now join the rest of our UMHS students in utilizing the new UMHS Learning Management System (LMS). 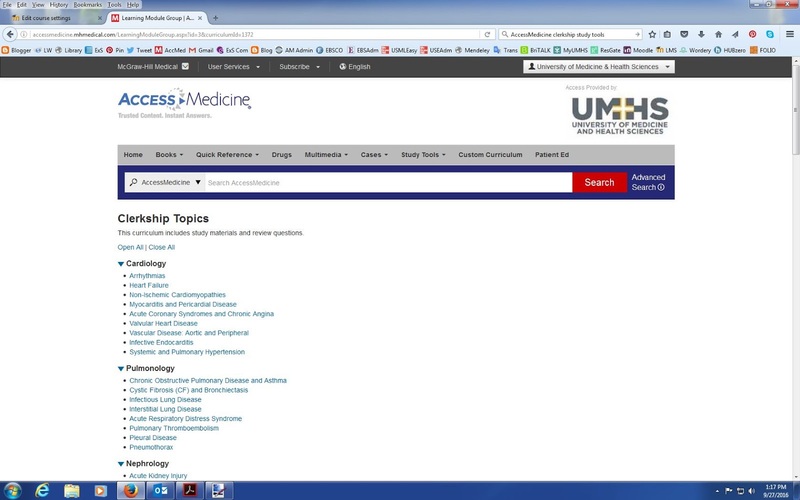 The standardized UMHS Clinical Sciences Curriculum, developed by the UMHS Clinical Chiefs for the Six Core Clinical Clerkships, is now available to the clinical science students via the UMHS LMS platform. 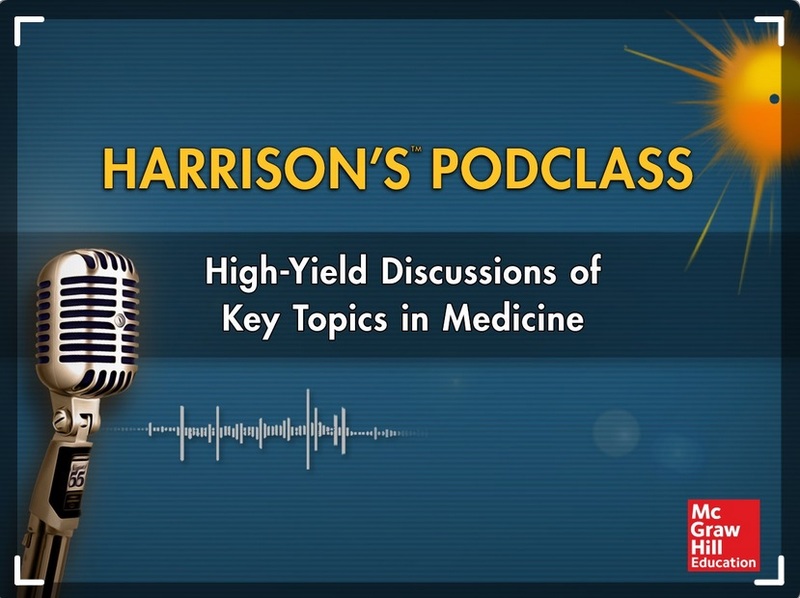 While these students rotate through their core clerkships in any of the many UMHS affiliated American hospitals, they will always have ready access to the key information they need to guide them in their learning. 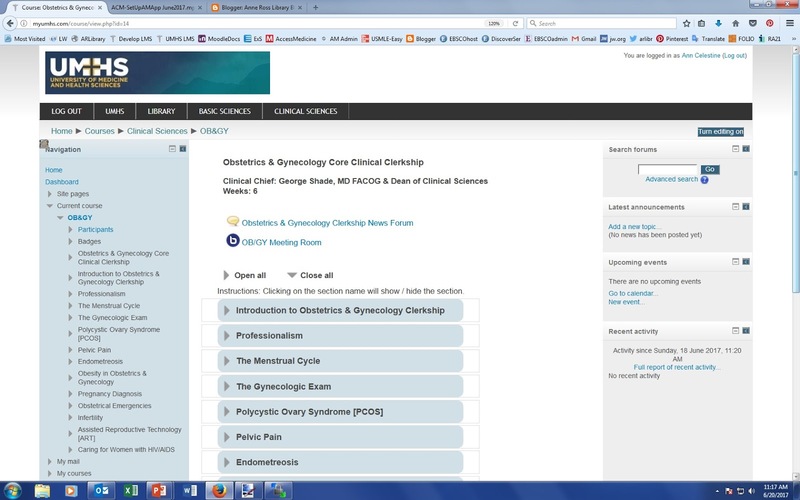 The UMHS Clinical Chiefs have prepared the learning modules to cover all the key topics the students will need to know. The topical modules contain a variety of learning activities; from Lecture PowerPoint Presentations (some with voice-over), to videos, to practice quizzes, to interactive case studies. 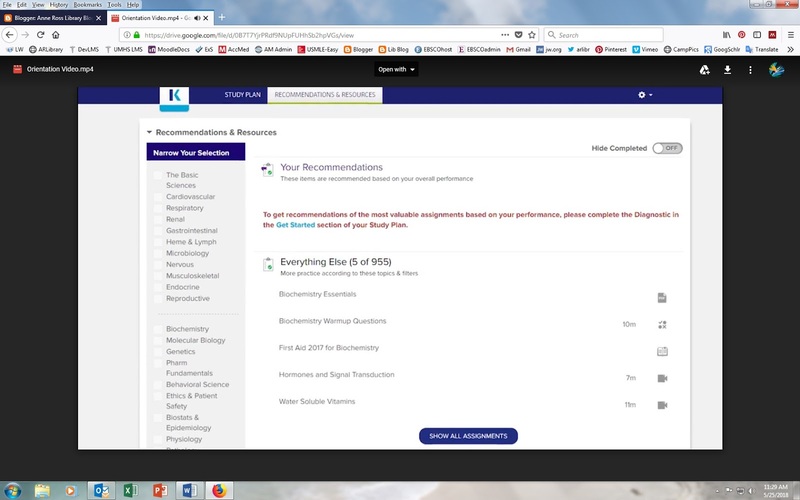 Most of the modules also contain targeted readings, embedded right in the LMS. These are selected from the valuable AccessMedicine database or one of the EBSCO databases of medical journals and ebooks, all of which our faculty and students enjoy full subscription access too. Let us know what you think of the LMS, the clinical program of instruction, etc. The Access Medicine App is now available to UMHS faculty and students for your mobile devices. Sign in with your personal login. Sign into the App with your personal login. It will take a minute to download and then you are go to go! If you need further assistance with your set up please contact the library. 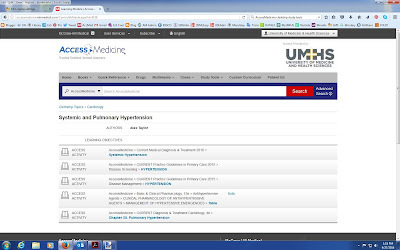 UPDATE Monday October 27, 2014: UMHS is pleased to announce that it is now in the process of purchasing a subscription to AccessMedicine! This is great news for our Faculty and Students, both in Basic Sciences and Clinical Sciences! Watch for more announcements as UMHS rolls out its Custom Curriculum using this platform. 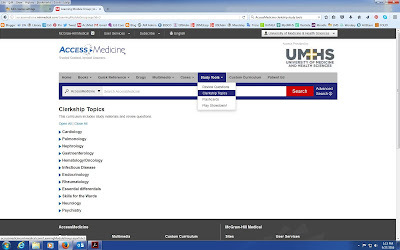 The Anne Ross Library is pleased to announce that for the next 2 months UMHS will be trialing the premier product from McGraw Hill Medical supporting medical education, Access Medicine, along with the new companion product Clinical Access. 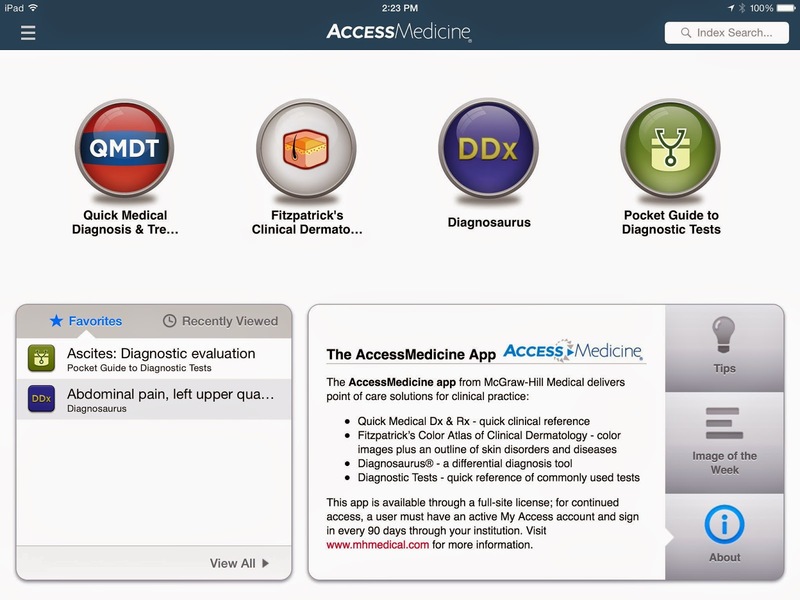 What is AccessMedicine? 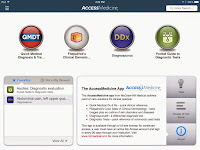 AccessMedicine is a comprehensive online medical resource that provides medical students and residents with a complete spectrum of knowledge needed to excel in basic science studies and clinical clerkships. Instant access to videos, self-assessment, and leading medical textbooks facilitates decision-making at the point-of-care; enables faculty to create, track, and report their students’ progress through a curriculum tool; and allows physicians to brush up on their medical knowledge. Differential Diagnosis Tool: Connect to more than 1,000 diagnoses through Diagnosaurus®, a tool that saves you time by allowing you to browse by symptom, disease, or organ system at the point of care. Practice Guidelines are annually updated guidelines from Current Practice Guidelines in Primary Care that assist in disease screening, prevention, and management by providing succinct digest versions of longer original guidelines. Diagnostic Tests, from Pocket Guide to Diagnostic Tests, is a quick reference guide to the selection and interpretation of commonly used diagnostic tests, including laboratory procedures in the clinical setting. Quick Medical Dx & Rx is a collection of concise evidence-based outlines of conditions and disorders most often encountered in medical practice – perfect for high-yield review or for quick reference in the clinical setting. Self-Assessment: Extensive Q&A to assist students and residents in exam preparation. Integrated Drug Database: Look up dosing, indications, and adverse reactions quickly from more than 1,000 generic and brand-name drugs, with customizable, printable patient handouts presented in English and Spanish. Images: Tens of thousands of photos and illustrations to aid in visual diagnosis are available to save and download for educational purposes. Clerkship Corner: An invaluable resource that presents clerks with the complete scope of information they need to be familiar with to successfully become residents. Clerkship Corner provides a suggested reading list for students to master required topics. Content is organized by core topics in internal medicine. 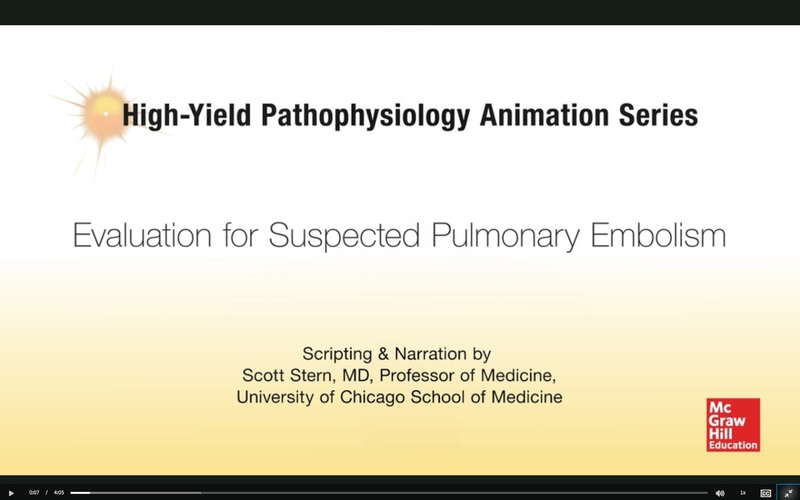 Cases: A selection of cases from across the popular Case Files series and Pathophysiology of Disease helps medical students better understand and evaluate real world experiences by offering questions to frame the case and the approach to the patient. 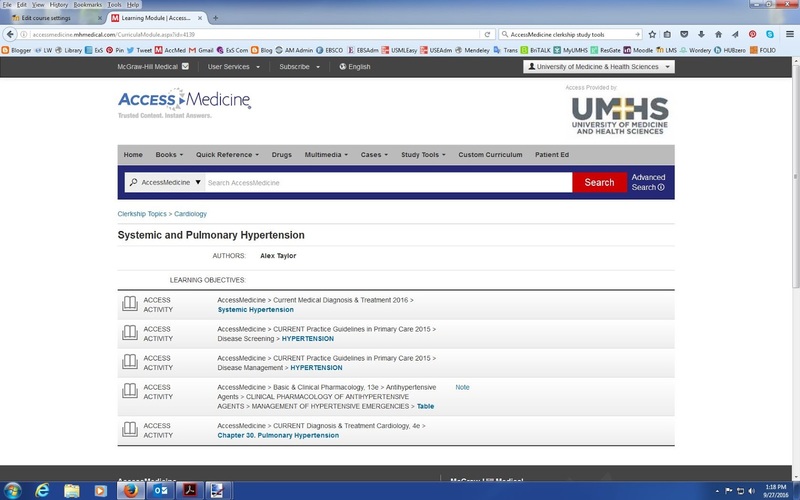 Custom Curriculum: This powerful online tool helps ease the workflow for program directors by customizing and managing resident training from one convenient site.To access this portion of the site you will need to create a personal login to a MyAccess account. Watch a short video explaining how to do this. 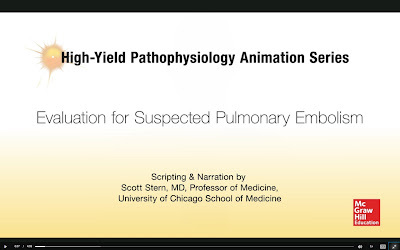 Watch your email for information on how to login and begin to enjoy this excellent resource!